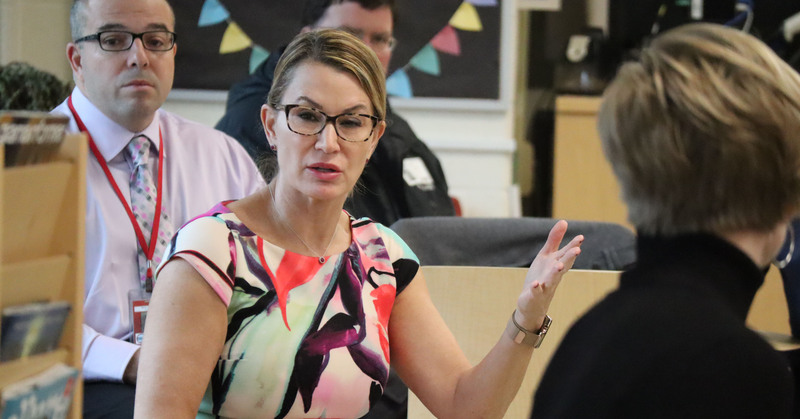 DERBY – State Representatives Themis Klarides and Nicole Klarides-Ditria met with local Board of Education members, Superintendents, Principals, teachers on Wednesday morning to hear their top issues impacting schools K-12. The annual legislative breakfast is hosted by the Connecticut Association of Boards of Education. In attendance were superintendents, principals, teachers, and BOE Members, from Ansonia, Derby, Orange, Milford, Seymour, Woodbridge, and West Haven. Many in attendance expressed their concerns about school safety for both teachers and students. In addition, funding teachers’ pensions, providing more opportunities for advanced manufacturing training, and ECS funding were discussed. Last year, Governor Dan Malloy vetoed S.B. 453, a school safety bill that made several changes to school safety laws – the bill was co-sponsored by both Reps. Klarides and Klarides-Ditria. Also, Governor Malloy vetoed a bill that would have prevented future governors from being able to cut ECS funding midyear.